Everything you wanted to know about Ibanez, and more. Ibanez - The Untold Story tells the fascinating story of how a 19th century Japanese bookstore owned by the Hoshino family of Nagoya, Japan eventually became the company that has made instruments for George Benson, Korn, Daron Malakian of System of a Down, Joe Satriani, Steve Vai, Bob Weir of the Grateful Dead, and many other influential artists. 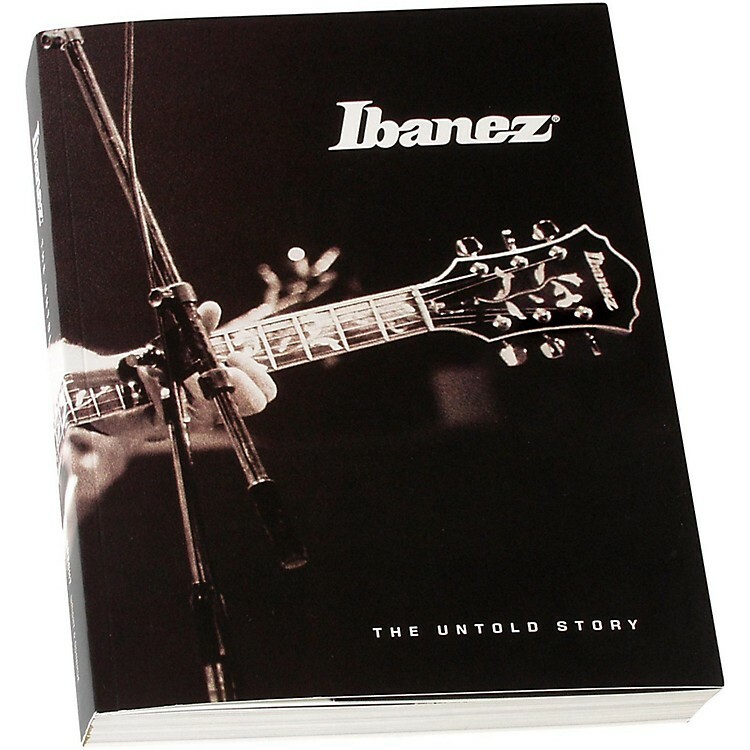 Best of all, Ibanez - The Untold Story does not just tell the story, it shows the story in a beautifully designed book that will be at home on a coffee table ... or in a gig bag. There are literally hundreds of brilliant color photographs of Ibanez guitars, basses and electronics and the artists who have played them. Plus, The Untold Story features the most comprehensive listing available on Ibanez instruments and electronics from the past up until recent times. Love Ibanez? Have we got a book just for you. Order today.